The spelling of the castle's name varies between Berkamstead, Berkamsted, Berkhampstead and a few other variants. Berkhampstead is favoured here because it's the current spelling of the nearby station and the local district. 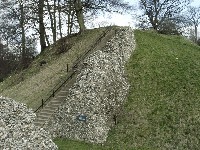 The earthwork remains of a Norman motte and bailey castle, mostly rebuilt in stone. There is a double moat around the castle. Despite being very close to London, the site is not usually over burdened with visitors. The motte and bailey castle was built in the late 11th century. 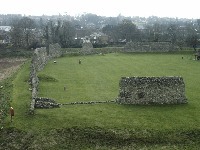 The circular keep is dated about the middle 13th century. 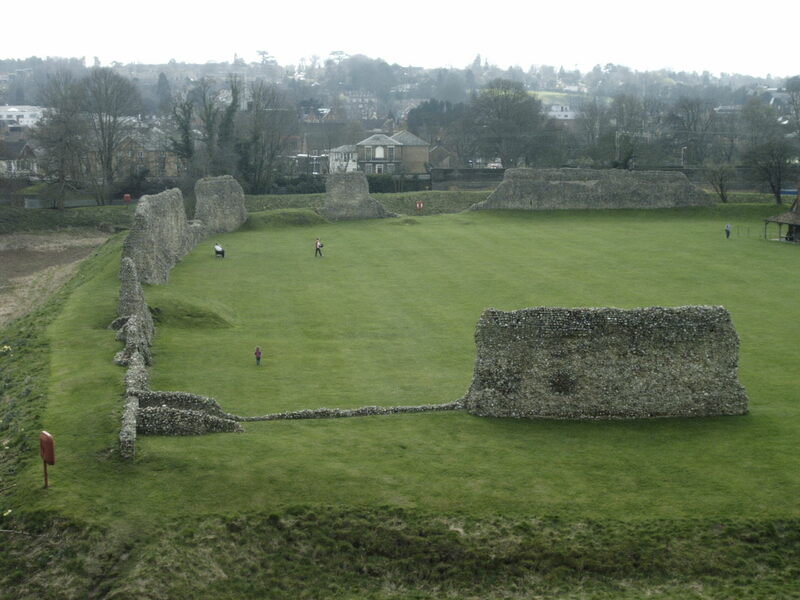 The stone buildings and curtain walls on the castle site were built in the late 12th century. 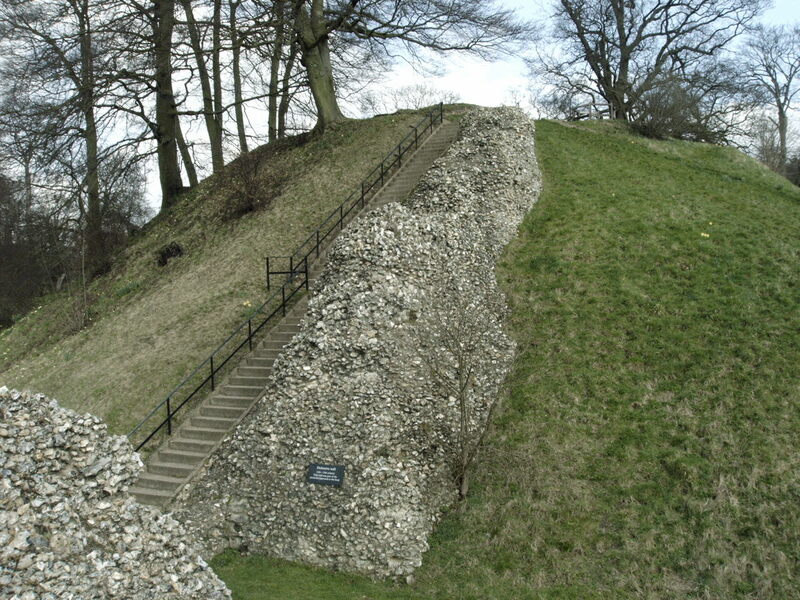 According to Castle Xplorer Thomas a Becket lived there from 1155 to 1165. 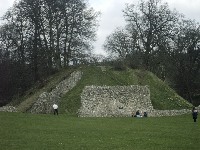 He built the stone defences around the motte and bailey to replace the wooden palisades. These images lead to larger ones stored on the Etrusia website and may take some time to download.